Jermain Defoe scored an injury-time penalty to earn Sunderland a potentially priceless point at Stoke. The Potters looked on course for victory after Marko Arnautovic gave them the lead five minutes into the second half but Defoe made it 1-1 having won the spot-kick himself. Newcastle's victory over Crystal Palace meant the draw was not enough to prevent Sunderland dropping back into the bottom three but it was more than they looked like getting for 90 minutes. 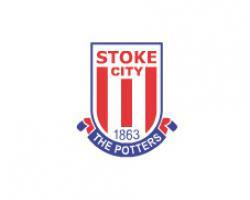 Mark Hughes would have been pleased with Stoke's response to conceding four goals in each of their last three games but their winless run extended to five matches. Philipp Wohlscheid was the man to pay the price for Stoke's defensive frailty, with Geoff Cameron moving to centre-back. Sunderland boss Sam Allardyce not surprisingly stuck with the same team that held Arsenal to a goalless draw last weekend. The Black Cats had kept three clean sheets in their previous four games but they might have been behind inside two minutes as Xherdan Shaqiri picked out Arnautovic, who slipped at the vital moment. Charlie Adam started a Premier League game for the first time since November and his eye for a pass was central to Stoke's attacking threat. In the 18th minute, Adam's cross picked out Peter Crouch and his header, which might have been going wide, was scrambled around the post by Vito Mannone. Crouch had the beating of Lamine Kone in the air and shortly afterwards he headed Phil Bardsley's cross just past the post. Crouch again played a part as his header from wide on the right caught the Sunderland defence out. Giannelli Imbula and Arnautovic were left two on one but, after collecting Imbula's pass, Arnautovic shot wildly over with only Mannone to beat. Sunderland were not without chances but they were unable to really test goalkeeper Jakob Haugaard, who got another chance to impress with Shay Given joining Jack Butland on the sidelines. Defoe might have done better than shoot straight at the Dane while Kone's shot on the turn following a corner was well struck but also well wide. It took Stoke just five minutes of the second half to break the deadlock, and it was no surprise that it was Adam, Crouch and Arnautovic who were involved. Adam's cross was headed down by Crouch for Arnautovic, who cleverly delayed his shot, fooling Kone, before firing past Mannone. Allardyce was clearly unhappy that the goal was allowed to stand, with Crouch climbing on Younes Kaboul as he rose to head the ball. The forward had been a doubt with a groin injury, which he appeared to aggravate prior to the goal. Sunderland's game plan had been to keep it tight and they struggled to mount any real response to the goal. Defoe, the likeliest source of a goal, sent a fierce shot over the bar, but the greater threat continued to come at the other end. But for a last-gasp intervention by Yann M'Vila, Adam may well have got the goal his performance deserved, while Glenn Whelan's deflected shot was straight at Mannone. Gradually Sunderland began to create some pressure and Defoe's deflected shot had Haugaard scrambling but the ball dropped wide. Imbula might have made the points safe but delayed in getting his shot away when clean through, and it was to prove costly. With the 90 minutes having elapsed, Defoe looked to collect the ball on the edge of the area and went down under pressure from Cameron. Contact appeared minimal but referee Craig Pawson pointed to the spot and Defoe made no mistake, leaving the Sunderland fans to celebrate what must have felt like a victory.